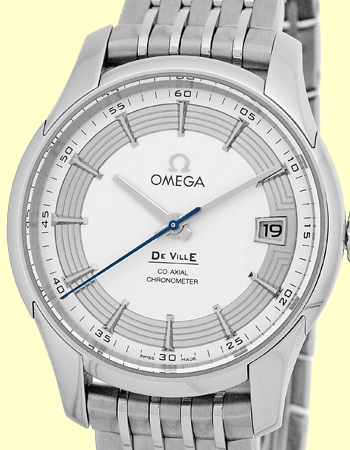 Gent's Stainless Steel Omega "De Ville" Hour Vision. Silver Dial with Raised Silver Baton Hour Markers, Blue Sweep Second Hand, Date Indicator, and Sapphire Crystal. 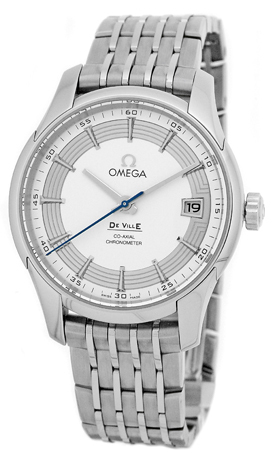 Matching Stainless Steel Omega De Ville Dual Deployant Clasp Bracelet. 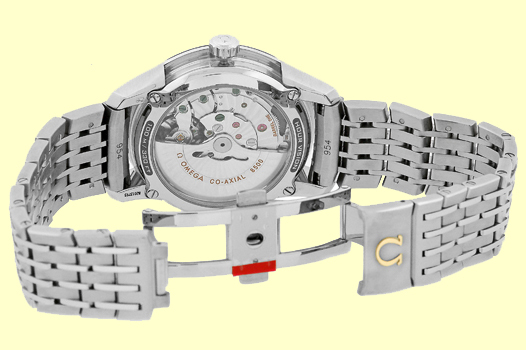 Handmade Swiss Chronometer Certified Co-Axial Automatic Movement. 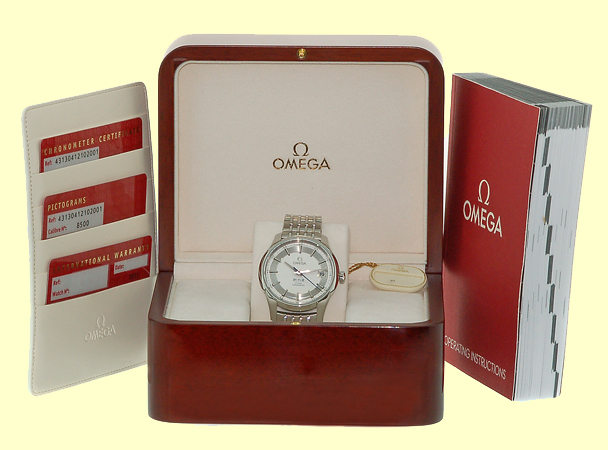 Brand New, Showroom Perfect with Omega Wooden Box, Warranty Cards, Booklet, Hang Tags, and complete with Capetown's Lifetime Warranty! !